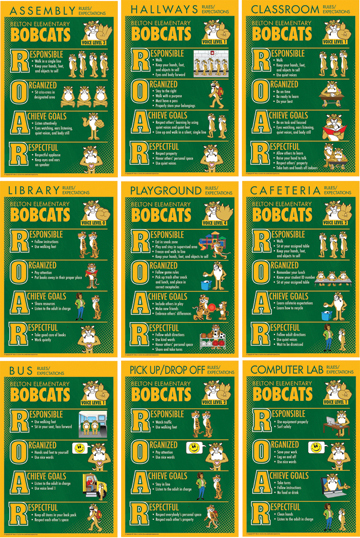 Customized with YOUR words, YOUR colors and YOUR mascot/logo. 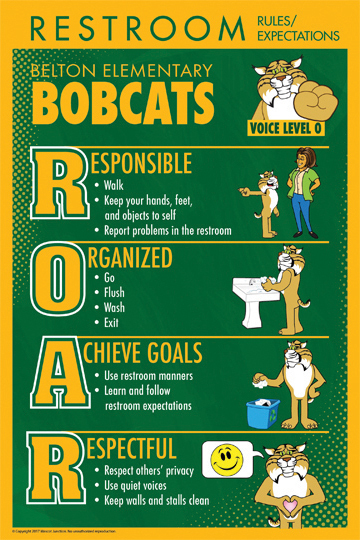 Use illustrations of your mascot, or students, to demonstrate positive behaviors. 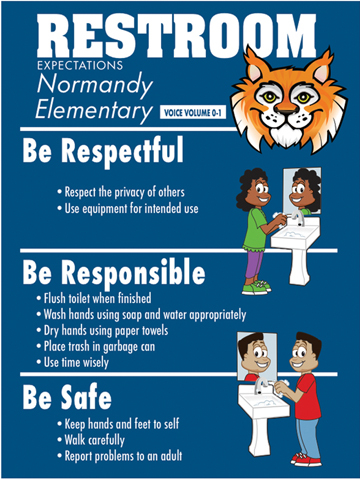 Sample shown features children, instead of a mascot, and a logo (tiger head) provided by the school.